The Ron S! 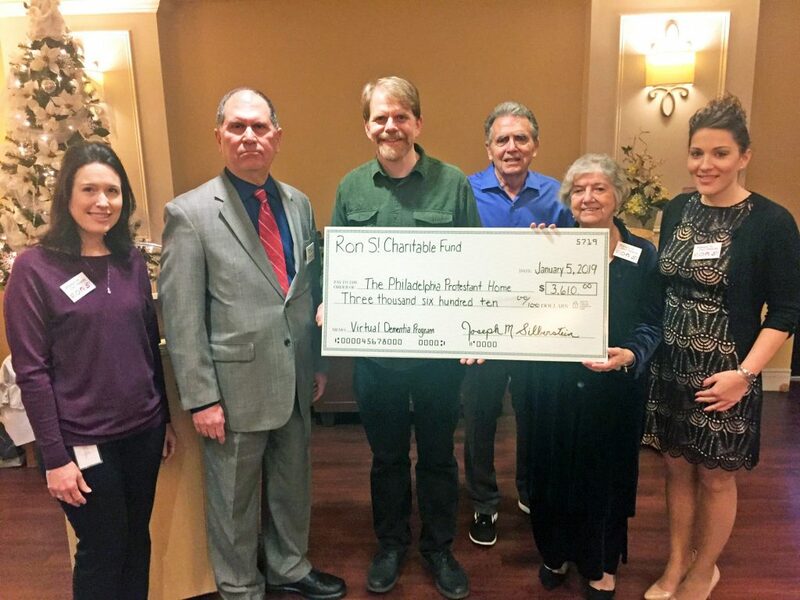 Charitable Fund on Saturday afternoon made a donation to the Philadelphia Protestant Home so the retirement community can train employees who care for residents with dementia. The charitable fund was created in memory of Ron Silberstein, who died on Christmas day 2015 at age 47. Silberstein’s mom and stepfather, Marge and Tom Sexton, live at the Protestant Home, 6401 Martins Mill Road in Lawndale. Marge Sexton asked Deanna Keough, director of development at PPH, if there were any unfunded projects. 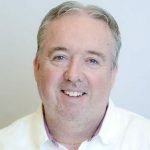 Keough mentioned that PPH wants to use technology to train staff who care for dementia patients, along with offering the training during orientation and annual seminars for all employees. Specifically, PPH wanted to purchase Second Wind Dreams’ Virtual Dementia Tour. During a Virtual Dementia Tour, experienced, trained facilitators guide participants outfitted with patented devices that alter their senses while they try to complete common everyday tasks and exercises. The Tour enables caregivers to experience for themselves the physical and mental challenges those with dementia face, and use the experience to provide better person-centered care. At PPH, the reality experience will be shared with family members of residents. Marge and Tom Sexton donated $500 to kick off the fundraising campaign. A GoFundMe campaign raised $3,610. The Sextons and Joe Silberstein, Ron’s brother and founder of the charitable fund, presented a check to Keough, PPH President and CEO Anthony Manzo and Jennifer Honeyford, PPH’s longtime director of resident life. “This is a wonderful gift,” Manzo said. “He lived his life fully when he was with us,” his stepfather said. “We love him and miss him every day,” his mom said. Marge Sexton said Ron would always put his hand on her back when crossing the street and at other times. “I still feel his hand on my back, I truly do,” she said.